Though this image is flawless, it makes me extremely depressed. 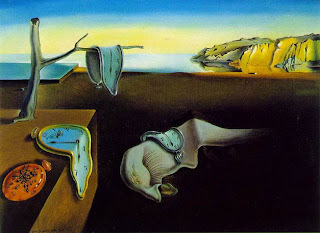 This painting by Salvador Dali just looks sad and depressing. Everything looks almost as if it is dead. It creates the illusion of time standing still or if time is fading away from us. It just makes me unhappy about life and as if I can't change the way my life is going or that I have no control over it. Though it is a unique and classic painting, I just am extremely unhappy with the way this art work makes me feel.